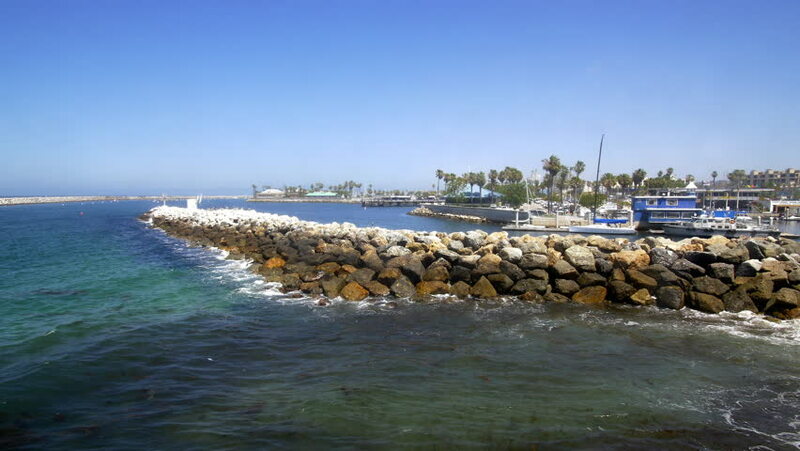 Breakwater in King Harbor provides protection in the marina while waves move calmly towards the rocky barrier. hd00:22Breakwater in King Harbor provides protection in the marina while waves move calmly towards the rocky barrier. 4k00:22Portsmouth Aerial v8 Flying low over Piscataqua River and harbor panning with city views.